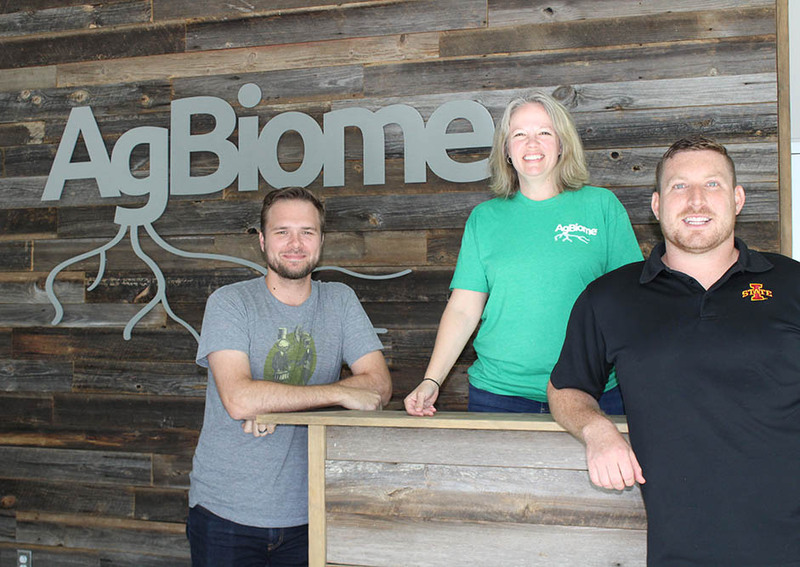 RESEARCH TRIANGLE PARK, NC, JUNE 14, 2018 -- AgBiome, LLC has recently been awarded a multi-year grant from the Bill & Melinda Gates Foundation in the area of nematology. The project, entitled “Biological Nematicides for Root and Tuber Crops”, aims to discover and develop a microbial solution for smallholder farms in West Africa to manage yield-damaging plant-parasitic nematodes. Yam, Dioscorea, is an important staple in the diet of many West African nations, providing over 200 calories per day for an estimated 150 million people. The root-knot nematode (RKN), Meloidogyne spp., is one of the most economically important plant pathogens worldwide, affecting over 5000 different plant species, including yam. RKN infection on yam causes substantial losses during production by destroying edible tissue, ultimately reducing the yield and marketable value. Although effective, chemical nematicides are not readily available to smallholder farmers in Africa and have known toxicity issues to the user and environment. Biological control of nematodes (and other agricultural pests) affords no risk of exposure, unlike synthetic chemistries, and promises the potential to offer season-long control through colonization of the plant and rhizosphere. The project will be led by AgBiome nematologist Christy Wiggins and project team contributors Dr. Vadim Beilinson, Dr. Lee Simmons, and Dr. Lynn Dickey with collaborations with the International Institute of Tropical Agriculture (IITA) and nematologist Dr. Danny Coyne. Additional technical contributions in nematology from Tim Ave-Lallemant and Dr. Jared Jensen. “This is a great opportunity to have a positive impact for smallholder farmers in West Africa and to help provide a more stable food source and increased family income by protecting their most valuable crop (yam).” says Wiggins. AgBiome already has a diverse collection of plant-associated microbes and has fully sequenced and annotated the genomes for more than 26,000 microbial strains. The grant will support the isolation, sequencing, and testing of microbes associated with African yam production in an effort to discover effective microbial solutions.